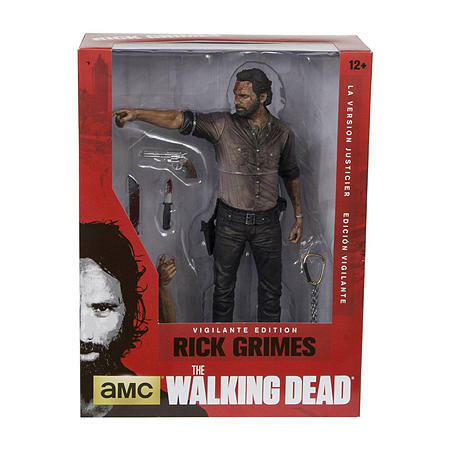 This Rick Grimes Vigilante Edition Deluxe Figure features the exact likeness of actor Andrew Lincoln as seen on the hit AMC series, The Walking Dead. 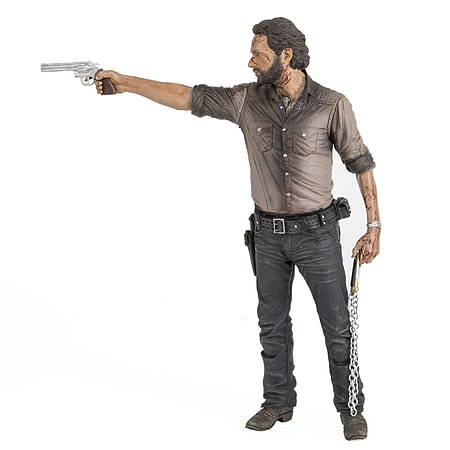 Standing tall at 10-inches, this detailed figure comes with authentic in-scale replicas of Rick's machete with red handle, revolver, knife and d-rings. 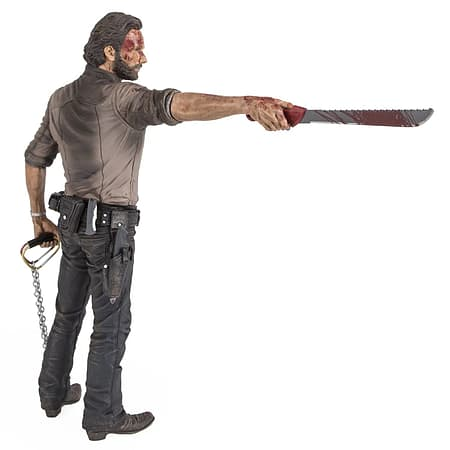 Figure also includes an alternate arm and hand to create additional character poses with a various weapon combinations!